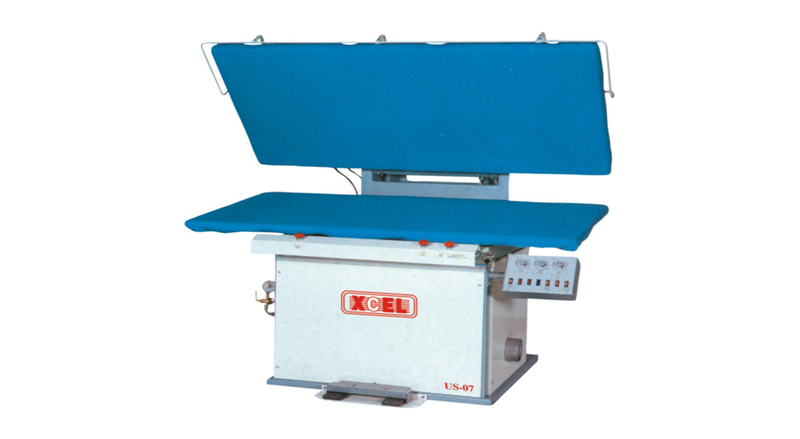 "Upsteam vacuum table for knitwear and woolen "
The upsteam vacuum table for knitwear and woolens. 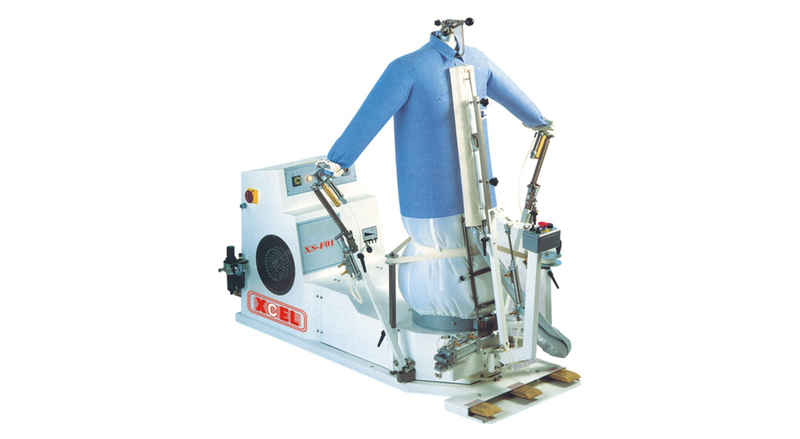 The garment is subjected to high pressure steam uniformly from bed surface during operation and tapping of head frame results in ironing out the wrinkles and thus finishing it. Suction helps in cooling the garment and also removes all the excess moisture.